Prize-winners and nominees pepper the Basel landscape this year, but do their predominantly national accolades count for much on the international market? 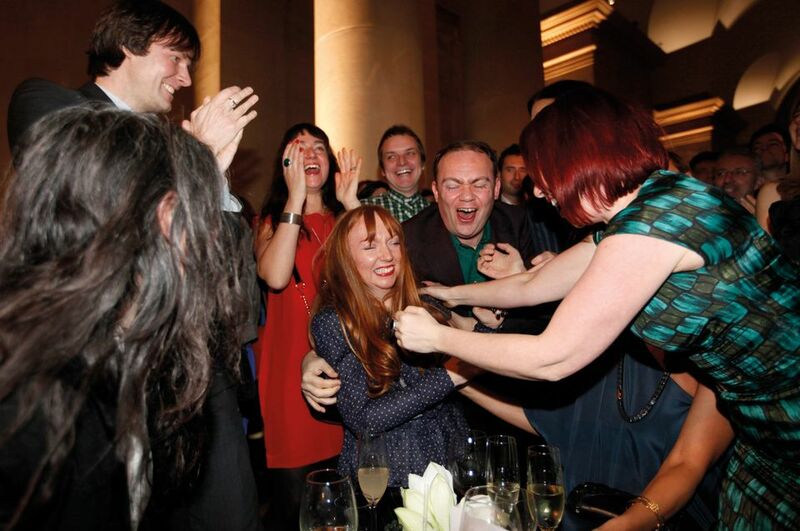 The Turner Prize, for example, which was established in 1984 by the Tate, recognises UK-based artists who have had an outstanding display of work during the previous 12 months. The 30-year-old New Zealander Luke Willis Thompson, the youngest nominee this year, has a show at the Kunsthalle Basel (until 19 August), and Lubaina Himid—who became the oldest ever winner of the Turner Prize last year, aged 63—has a solo presentation in Art Basel’s Feature section, with London’s Hollybush Gardens gallery. The gallery is showing works from Himid’s Negative Positives: the Guardian Series (2007-16), in which the eponymous UK newspaper acts as a canvas. Prices start at £12,000. Works from the 2017 series known as Men in Drawers begin at £30,000. Panting says that collectors outside the UK are familiar with the Turner Prize and the way in which it bestows legitimacy on artists, both critically and commercially. Candace Worth, a New York-based art adviser, confirms this view. The prize is “prestigious”, she says, and on the radar of “collectors who care”. The UK collector Christian Levett is of like mind, saying that “it definitely adds to the provenance of an artist to have won the Turner Prize or represented a country at the Venice Biennale”. However, the work itself—its date, quality and exhibition and publication history—outweighs any related awards, he adds. Worth states that the Tate’s decision last year to abolish its previous age limit of 49 chimes with recent trends. “It makes sense at a time when the market is acknowledging the significance of overlooked, mid-career artists,” she says. Worth equates the Turner Prize with the annual MacArthur Fellows Program, which offers “genius grants” to American and US-based cultural figures, and the $100,000 Hugo Boss Prize, administered by the New York-based Solomon R. Guggenheim Foundation. Frances Stark, who is showing a painting installation in Art Unlimited, called The Outsized Series: So that part of a part of a reader can partially assimilate part of a part of a book (2018), has been nominated for the Hugo Boss award this year. Nevertheless, the gallery is presenting some higher-priced works by the artist, with two pieces from Piss Flowers (1991-92) and Wreaths to Pleasure (1992-93) available for around $250,000 and $350,000. Smaller works are priced from $2,000. Saltoun is one of 16 first-time exhibitors—many of them emerging and mid-sized galleries—at the fair. A recent controversy has raised the question of whether prizes are in fact lucrative for artists. The Berlin Nationalgalerie prize, which takes the form of a solo exhibition at the Hamburger Bahnhof museum and an accompanying publication, was mired in controversy last year, when the four artists shortlisted said that they should be paid for the exhibition they were required to put together. 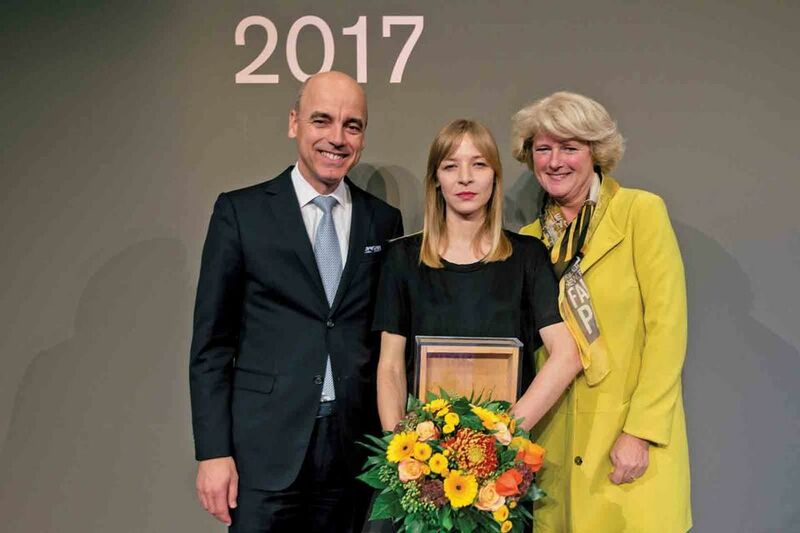 The Nationalgalerie prize, awarded every two years to artists under 40 living and working in Germany, is a joint venture between the Friends of the Nationalgalerie and the Nationalgalerie itself, which is part of the Berlin State Museums. The Berlin State Museums welcomed the nominees’ statement, saying that their points have been taken seriously. The four artists also expressed their concern about the public focus on their gender and national origin—and another gender row shook the art world in Belgium when the five nominees for the 2019 Belgian Art Prize withdrew. The move came after more than 800 people, including the independent curator Katerina Gregos, signed an open letter condemning the “exclusionary shortlist” drawn up by seven judges including Sophie Lauwers, the head of exhibitions at Bozar in Brussels. The row centred on the all-male shortlist of Sven Augustijnen, Koenraad Dedobbeleer, Gabriel Kuri and the duo of Jos de Gruyter & Harald Thys. “The flagrant exclusivity of this year’s candidates and the prize’s denial of not only social but also aesthetic reality, gender being just one of its glaring discriminatory categories, does not represent how we see ourselves, or our community,” the signatories say. The nominees hit back, saying that “the all-too-rapid shift of public attention from artistic discourse or content—let alone merit—towards white male privilege is frankly something that we regret”. Consequently, the organiser of the prize, the non-profit body La Jeune Peinture Belge, decided not to award it in 2019. “[We] regret that the [nominated] artists are unable to work serenely due to the current pressure of a social debate that does not target them directly, but of which they are nonetheless the victims,” its representatives said in a statement. The final word goes to an artist. At Art Basel, the French-Algerian artist Kader Attia is showing Fragmentation (2018), a piece combining painting and sculpture, with Lehmann Maupin gallery. 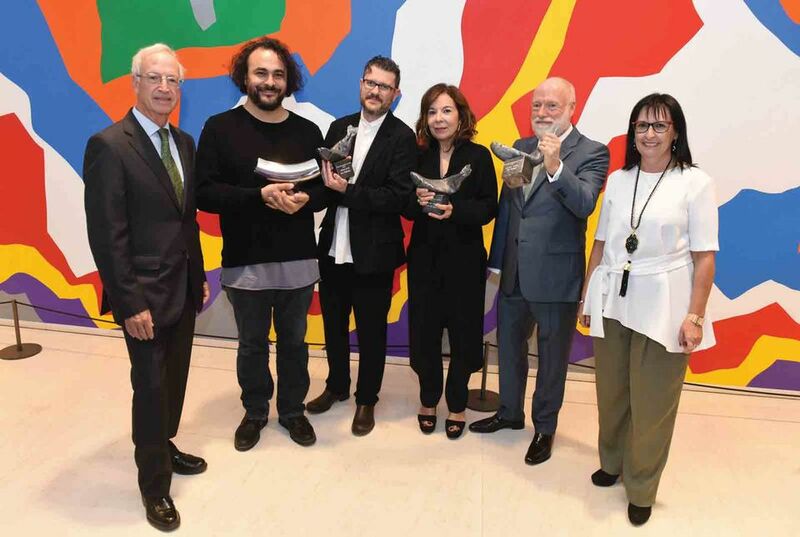 Attia won the Prix Marcel Duchamp, France’s premier contemporary art prize, in 2016, and was awarded this year’s Joan Miró prize by the Fundació Joan Miró and Obra Social La Caixa. There are plenty of works by award-winners on show at the fair this year—a sign that prizes have a certain cachet. The French artist Laurent Grasso, who won the Prix Duchamp in 2008, says: “Such a prize is always good news. Indeed, ten years later, it is still interesting and a topic [of discussion].” The win continues to boost his profile; Grasso’s work is currently in a special Prix Marcel Duchamp exhibition in China (Bridging the Gap, featuring a selection of nominees, is at the Tsinghua University Art Museum, Beijing, until 17 June). At Art Basel, Grasso is showing new paintings related to his film project OttO (2018), with New York’s Sean Kelly Gallery. Liza Essers, the director of the Goodman Gallery in Johannesburg, says that awards can have a positive effect at fairs. “Two of our artists—Kiluanji Kia Henda and Kapwani Kiwanga—received the most recent Frieze awards, which had a noticeable knock-on effect in terms of drumming up more pointed interest from collectors and museum curators who came to our stands at Frieze,” she says. Hank Willis Thomas, who won a Guggenheim Fellowship for photography this year, has expanded his already enthusiastic collector base, particularly at art fairs, she adds. One of the biggest winners appears to be the Ghanaian artist El Anatsui. His work on Goodman’s stand at Basel, entitled Tse (2016) and made from bottle caps, is priced at $1.1m. “On the eve of El Anatsui’s first exhibition in Africa of his metallic tapestries, held at the Goodman Gallery last year, he won the Praemium Imperiale award for sculpture. This did not go unnoticed by prominent South African collectors,” Essers says. 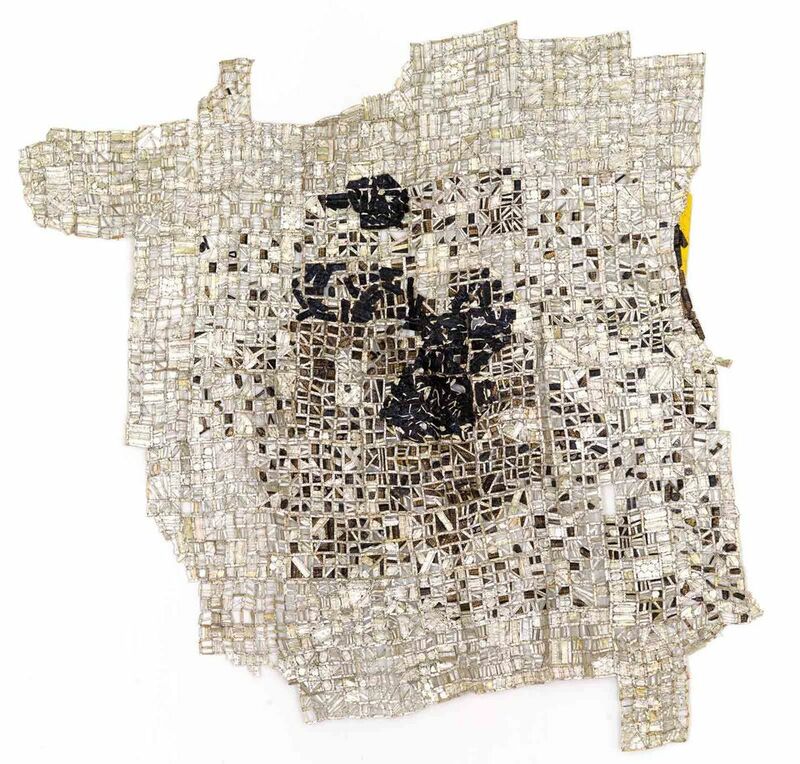 Jack Shainman gallery of New York is also showing works by El Anatsui at Art Basel.